Historical analysis of the site set to become Opendoor Homes’ newest development has revealed that transformation is not a new concept for the area. The former Burnt Oak Registry Office, and site of the new 30-flat development, faces Burnt Oak Broadway, a section of the Edgware Road linking Colindale to Edgware. Edgware Road has been found to have originally been a Roman road, which the Saxons called Watling Street, so there has been a settlement in the area for millennia. 1838: Directly adjacent to Barnet Registry Office, the Hendon Union Workhouse was built on the field north of Burnt Oak Field, sometimes known as ‘Red Hill’ workhouse. This large institution provided for the poor of Edgware, Harrow, Hendon, Kingsbury, Pinner, Great Stanmore, Little Stanmore and Willesden. 1930: The site passed into the control of the Middlesex County Council, and was later rebuilt as Edgware Community Hospital. 1844: A ‘Mr Essex’ bought the Burnt Oak Field and laid out North, East, and South Street. 1882: Burnt Oak was provided with a tin hut for use as a church and an elementary school. 1890s: By this time, there were a few more shops and a thriving, if small, community. 1900: A small fire station was established, until 1925. 1905: A tram service to Cricklewood commenced and there was a small amount of building as a consequence, such as Queens Terrace. 1921: Despite all the development in the area, the area still only numbered about a thousand. 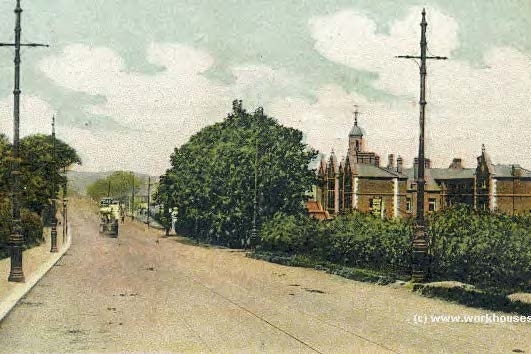 1924: Burnt Oak remained predominantly rural until this point, when the London Underground station opened and the London County Council bought land to build 4000 homes. 1930: The Watling estate was completed, which included good provision of green spaces. Private companies built on the estate’s perimeter, notably the Sheffield- based firm Henry Boot and Son, which developed the site of Burnt Oak Farm after 1930. 1930: The former workhouse was taken over by Middlesex County Council and became Redhill Public Assistance Institution. 1931: The population of the Burnt Oak ward had grown to 21,545 people. 1948: As part of the new National Health Service, the Redhill Public Assistance Institution became Redhill Hospital. 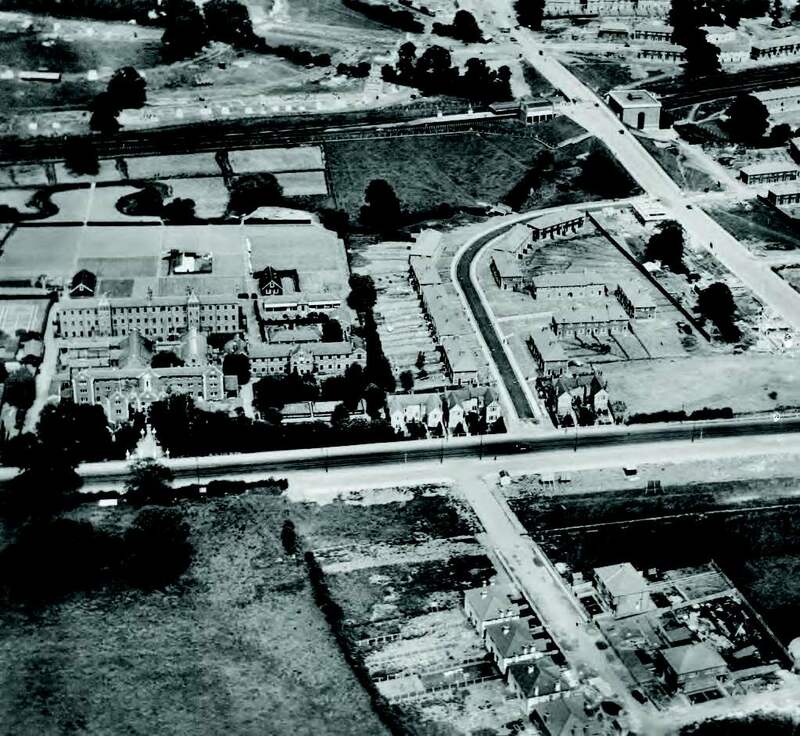 1970s: Burnt Oak Fields to the north east of the site was rebuilt in a Radburn layout that was popular at the time. Present day: The former Redhill Hospital buildings have now been demolished and replaced with housing. The former Barnet Register Office stands at the front of the site. The future: The new four-storey Opendoor Homes housing development will create 30 affordable homes, including four two-bedroom wheelchair flats, 18 two-bedroom flats, and eight one-bedroom flats. Two original artefacts from the Hendon Workhouse remained on site, and have been protected and donated by Opendoor Homes to the local museum. These include a wooden door and a set of railings.